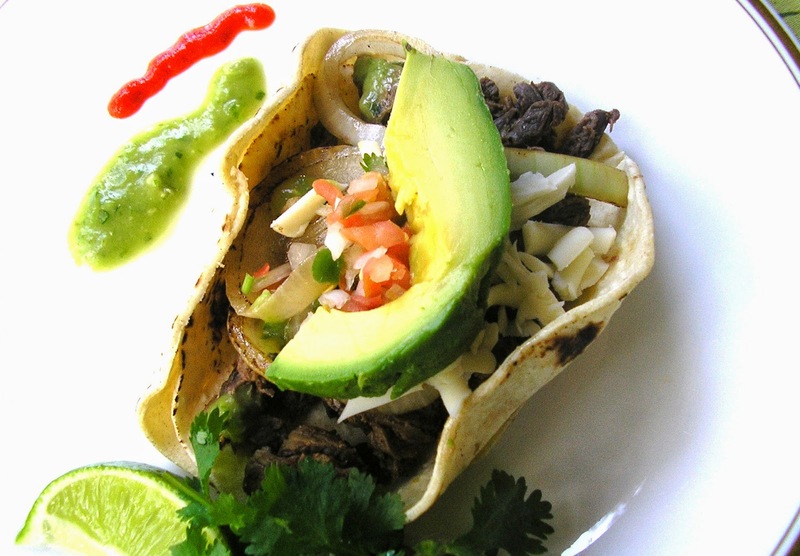 Make these grilled beef tacos for Cinco De Mayo. The "borracho-style" comes from the the beer that's included in the marinade. Top tacos with roasted tomato pineapple salsa and fresh avocado. Easy and delicious! 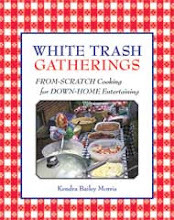 Recipe by Kendra Bailey Morris, author of The Southern Slow Cooker, Big-Flavor, Low-Fuss Recipes for Comfort Food Classics. In a large shallow dish such as a casserole dish, mix vegetable oil, beer, garlic, chili powder, cumin, lime juice, brown sugar, cider vinegar and cilantro. Add the steak. Cover and marinate in the refrigerator for an hour. Avoid marinating the steak any longer, since the lime juice can “cook” the meat. Remove the steak from the marinade, and season it with salt and pepper (or steak seasoning). Let the steak rest at room temperature for 30 minutes. Preheat a grill. Grill the steak on medium-high until charred on the outside but pink on the inside (about 5 minutes per side, depending on the thickness of your meat). Let the steak rest for about 10 minutes before slicing it on the bias, and serve with steamed corn or flour tortillas, minced onions, fresh cilantro and salsa. Preheat the oven to 400°. Line a roasting pan with aluminum foil, and spray it with cooking spray. Place the tomatoes cut-side-up in the roasting pan, and scatter the whole chiles. Roast the tomatoes and chiles on the center rack in the oven 30-45 minutes or until the chiles are charred and softened. Place the chiles in a small bowl, and cover them tightly with plastic wrap. Meanwhile, let the tomatoes cool, and then remove the skins. Dice the tomatoes, and place them in a medium bowl. Add the onion, pineapple, lime juice and cilantro. Peel and mince the chiles, and then add them to the mixture. Season to taste with salt and pepper. Mix well, cover and refrigerate until ready to serve. ©2014 Fatback and Foie Gras. All rights reserved. This material may not be published, broadcast, rewritten or redistributed without permission. 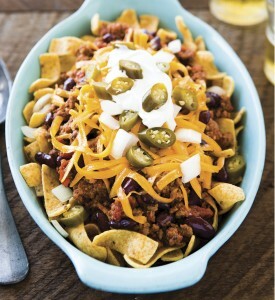 My recipe for Frito Pie was featured in Parade Magazine and USA Weekend! So, The Southern Slow Cooker is officially out and some great press and lovely reviews are starting to roll in. Check them all out at the newly revamped Southern Slow Cooker blog! 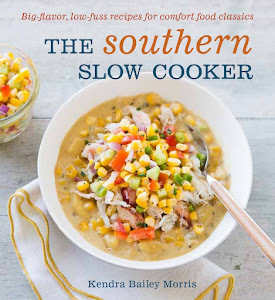 Special Preview of "The Southern Slow Cooker" Cookbook! It's amazing to think that in only a few short days (August 20th to be exact) "The Southern Slow Cooker: Big-Flavor, Low-Fuss Recipes for Comfort Food Classics" will be officially released, and all I can say about that is, "Yee haw people!". It's been over a year and half since I began this project with Ten Speed Press, and I am so excited and pleased with how this book turned out. Just today, my publishing house created a Scribd preview for the book, which contains a few recipes, including one of my favorites (and our requisite cover art star), Slow Cooker Blue Crab and Corn Chowder with Sweet Corn Relish, a true, end-of-summer crockpot meal. Here's a link to the preview, which you can also download or print. I hope you enjoy it, and if you're anywhere near Richmond, Virginia on August 25th, come join me for the official book release party! Please join me Sunday, August 25th from 5PM-8PM at Pasture Restaurant in Richmond, Virginia for the official launch of The Southern Slow Cooker: Big-Flavor, Low-Fuss Recipes for Comfort Food Classics. We're doing this up Sunday supper-style with an old fashioned potluck. There will be a cash bar and books available for purchase courtesy of Fountain Bookstore. I'll be making some slow cooker favorites from the book and I'm sure Chef Jason Alley will have some tasty goodies on tap. Details are below, but the gist is this: Please RSVP via my Facebook event page or shoot me an email at kendrabmorris@gmail.com by AUGUST 14th. Please indicate if you plan to bring a dish (it's not a requirement) and the number of people in your party. Recipe reprinted from The Southern Slow Cooker: Big-Flavor, Low-Fuss Recipes for Comfort Food Classics. PRE-ORDER YOUR COPY NOW! ©2013 Fatback and Foie Gras. All rights reserved. This material may not be published, broadcast, rewritten or redistributed without permission.